Working on a paper on retributivism and the moral education account of punishment I came across some information about Bastøy prison in Norway. The video above details the prison, and nicely illustrates how the moral education approach to punishment contravenes retributivist sensibilities but leads to desirable societal outcomes (i.e. lower rates of re-offending). All human beings begin life with a bundle of natural endowments they inherit from their parents. 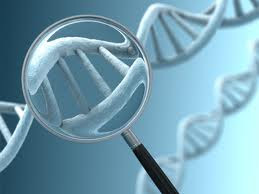 Genes are the fundamental physical and functional units of heredity and thus they can have a dramatic impact on our expected life-time acquisition of what the philosopher John Rawls (1971) calls the ‘natural primary goods’- health, vigor, intelligence and imagination. A child that inherits the genes implicated in a single-gene disorder, like Cystic Fibrosis or Fragile X Syndrome, can suffer premature death or severe cognitive impairment. At the other end of the spectrum of the genetic lottery of life are those fortunate individuals that inherit the ‘longevity genes’ associated with healthy longevity. Such individuals might enjoy a century of disease-free life. Rapid advances in the biomedical sciences, such as the development of gene therapies for Cystic Fibrosis, Muscular Dystrophy, Fragile X Syndrome, etc., and the development of potential ‘anti-aging’ molecules that could activate or mimic longevity genes, raise a plethora of ethical questions and societal concerns. Theories of justice attempt to help clarify what these problems and concerns are, as well as offer some general prescriptions concerning how we can better realize the distinct demands of justice. The genetic revolution raises a number of challenges for contemporary theories of justice. What will the demands of distributive justice be in the post‐genetic revolutionary world? Will genetic inheritance be regarded as socially distributed goods? This may seem a more reasonable position to assert as biotechnology progresses further toward human genetic manipulation. Advances in human genetics raise a number of unique considerations for theories of justice, ranging from the realisation of egalitarian ideals and the therapy/enhancement distinction to the scope and limits of reproductive freedom. As new empirical discoveries are made concerning the environmental and natural determinants of human welfare, theories of justice must re‐conceptualise what the demands of justice are and how society can fairly distribute the natural and social goods which influence the life prospects of humans. Working on my new paper on punishment I came across this useful Guardian site that contains data on the death penalty in the US and world. The image above (click to get a larger image) gives one a sense of the global picture of the practice of capital punishment in the world. Political philosophers and theorists working on issues of justice and morality ought to take seriously the empirical insights comparative biology affords. The Ted Talk above is a great example of the importance such insights have for us. Tonight concludes yet another year for my full-year intro to political theory course POLS 250. Many thanks to the 250 undergrad students at Queen's for joining me on our adventure through the greats of Western political thought, from Plato through to Marx. I hope you all enjoyed the journey as much as I did. The video above is a tribute to our collective intellectual voyage through the great minds of the past. Old ideas give way slowly; for they are more than abstract logical forms and categories. They are habits, predispositions, deeply ingrained attitudes of aversion and preference. Moreover, the conviction persists -- though history shows it to be a hallucination -- that all the questions that the human mind has asked are questions that can be answered in terms of the alternatives that the questions themselves present. But in fact intellectual progress usually occurs through sheer abandonment of questions together with both alternatives they assume -- an abandonment that results from their decreasing vitality and a change of urgent interest. We do not solve them: we get over them. Old questions are solved by disappearing, evaporating, while new questions corresponding to the changed attitude of endeavor and preference take their place. Doubtless the greatest dissolvent in contemporary thought of old questions, the greatest precipitant of new methods, new intentions, new problems, is the one effected by the scientific revolution that found its climax in the "Origin of Species."